I am taking some time out and spending a week in Grimaud with two girlfriends. We have had such a great time, relaxing, gossiping, laughing and of course making a few purchases in St.Tropez market. Inspecting the tee shirts and bretons on offer. It is still chilly here so I am wrapped up in a short puffa jacket. I find it so useful for those in-between days. Yo can find similar at Uniqlo (US link). Round my neck I am wearing a coral wool scarf. I bought it in the market a few years ago. Similar at Nordstrom and Etsy here and here. Logo tee shirts are all the range this season. Rainbow of colours. Whether your colouring is warm, cool, bright or muted you can find a colour to suit you here. Reds, greens and blues were very much in evidence. I loved the two ethnic print dresses. Yellows, pinks, neutrals orange. Take your pick. 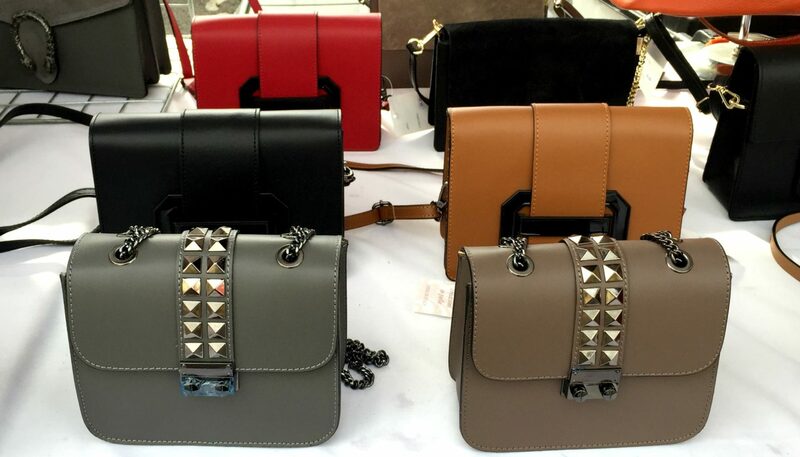 Loved these bags, especially the stud ones. Can’t believe these shoes above were on sale for only 10 euros. One of my friends bought a silver version. 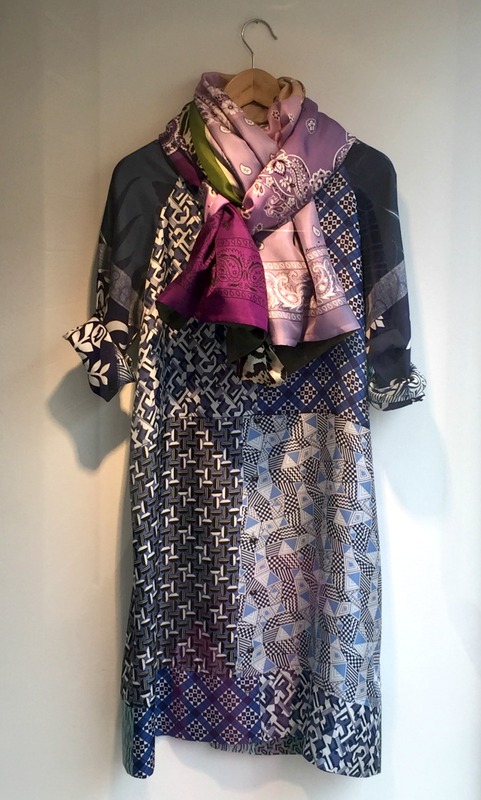 Lovely print dress. Luckily the shop was not open when I took this photo early in the morning or a purchase might have been made! The french dress their windows so elegantly. I love the navy spot trousers with the white top. If you are a fan of orange you might like the second version. I find that french women are so chic in the way they accessorise their outfits with scarves and jewellery. Love is in the air. It is Easter next week-end. 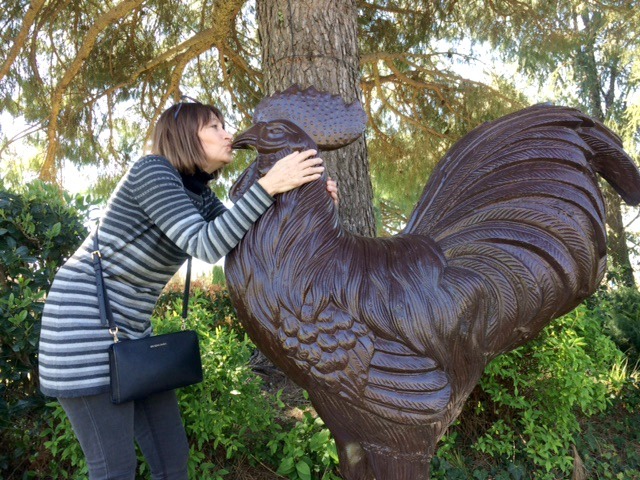 Sadly this chicken was not made of chocolate! Love the new colors for spring. Really love the metallic sneakers with tassels! Never been to France, but would love to go. I’m over here in the US. I want to buy a Uniglo puffer jacket but cannot decide whether to order a Small or a Medium. I am 5 foot in height and slimmish build but bust is 36D! Are Uniglo jackets on the tight or the lose side. please? I would probably go for a medim they are bit very long. The small might be a bit tight across the bust. You could always do what I do and order both. Unfortunately Uniqlo do not do free returns. However it is probably cheaper that sending one back and re-ordering. Thank you, Josephine. I’ll do that! I have a Uniqlo puffer, bought in November. I am small and usually wear a size 6 or 8, 5’4″ at 115 lb. I have a Large (!!) and it is perfect. So yes, they are cut very small. 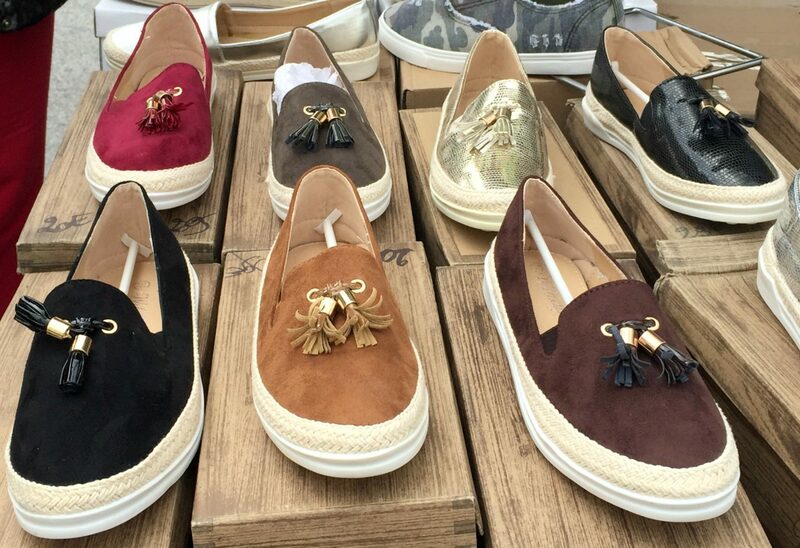 I love the tassle shoes as well! I think there must be a lot more spring things on the stalls than when I was there at the beginning of this month. To be honest, I think you have special antennae to find nice things! P.S. The little house we rented was in the road beside La Tarte Tropezienne, Place des Lices. I hope the roadworks are finished! It is a very pretty little street. No the roadworks are still there which makes the place look a bit ugly. Of course, I love that orange outfit. 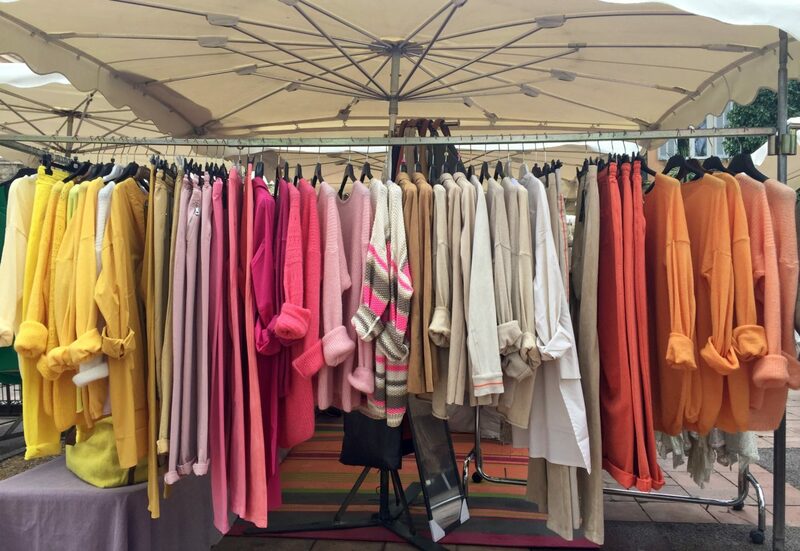 Oh how I miss the vendors in France…so many wonderful colors and styles to choose from, and such fun shopping. Enjoy! Wow lots of fabulous things there, just my cup of tea, would love a wander round. Okay… you’ve inspired me… I’m off to buy a bright spring scarf. So even though it still feels like winter, it will cheer me up. By the way… love that scarf with your puffa jacket. 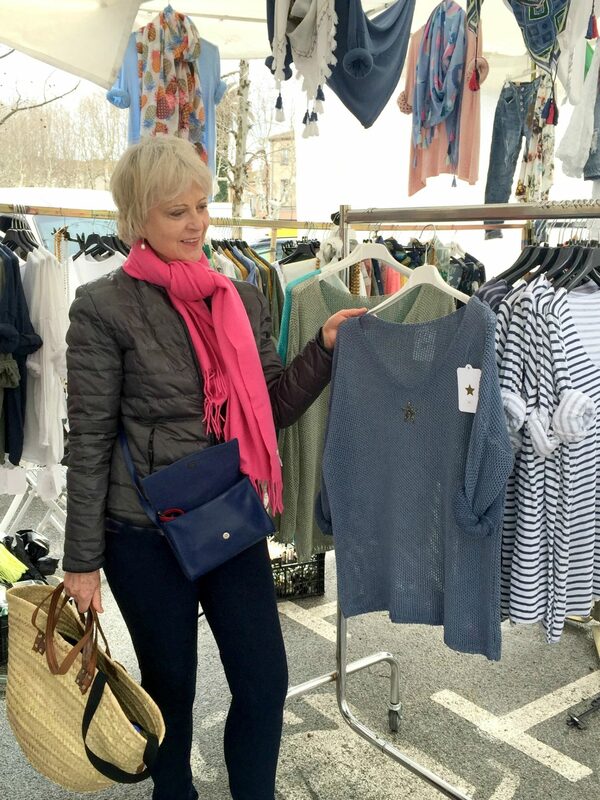 Glad you liked my trip arund St Tropez market. Pop back on Friday when I will have more photos of some lovely scarves I found there plus a photo of my updated hairstyle. 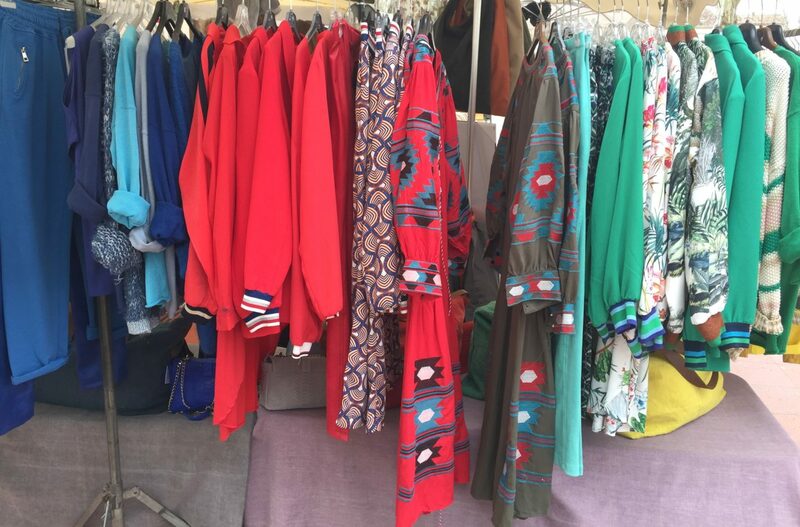 Local markets are such fun to shop! Thanks for sharing these with us. Lovely colours for spring , if only the weather would improve! Still we did have a beautiful sunny spring day here on Monday. I’ve just got a bright blue sequined beret – caused some mirth in the family!-to wear with a cobalt blue bemboo scarf I also bought quite recently. The feel is lovely but it creases and is not as warm as wool, of course. What lovely options you have to choose from among! Those orange pants and small black/white checked blouse for some reason ring my bell! And the shoes! And the purses! I’m more than a little jealous of your shopping opportunities there. Good eye, girl. Do you ever post where to purchase these items? 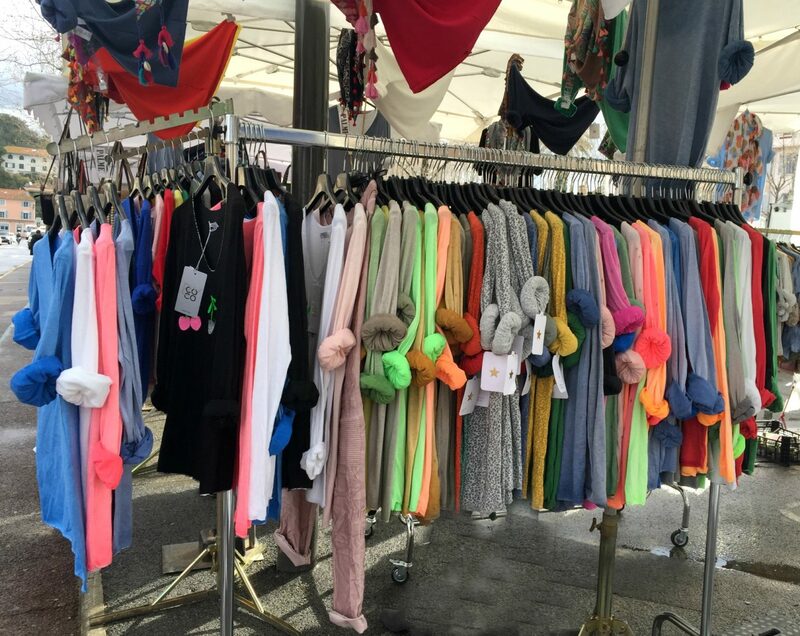 On the post I published today of my recent trip to St.Tropez market I have tried to find similar items below each photo. We are researching the possibility of sourcing some of the scarves and jewellery. We would then open an online shop attached to the blog where readers could purchase the same or similar items. However this service will not be available for several months. 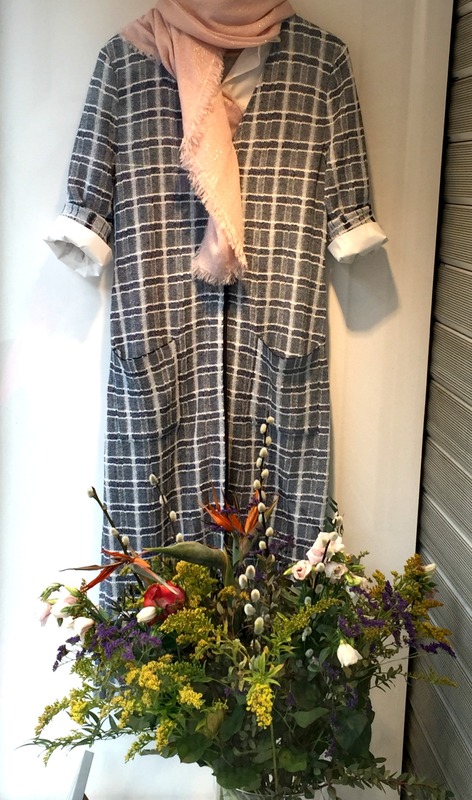 More pics of French clothes in windows please, just lovely.